Is self storage costing as much as new business premises? Save up to 96% with Storage Collect. From just £7.00 per box per month. Why rent a storage room when you can store by the box? 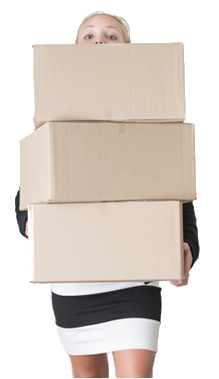 With next working day delivery, your boxes are never more than a click away. We Collect. We Store. We Deliver. StorageCollect is a revolution for business and document storage in the UK. With StorageCollect your boxes and packing materials are free, we collect from any address, store for as long as you like, and then return en-masse or individually, to any address you specify. Storage from £7.00 per box per month. With StorageCollect collections in most areas pre-assigned a time window, so you can plan your day. Use your StorageCollect account to arrange doorstep collections and returns in just a few clicks online. No more van hire, traffic jams, inconsiderate storage neighbours, crowded aisles, dark industrial estates, or forgotten entrance codes. Use your StorageCollect account to arrange collections and returns in a few clicks online. Stop wasting time in traffic, and getting blocked in by other customers. We're cheaper and easier to use than self storage, so you save time and money on storage and trips to the self storage depot. With StorageCollect your storage is charged by the box, so you never pay for unused space. 1. Click Get Quote to Get a Quote. Don't know where you're going after storage? Leave the return location blank. Don't know when you need your stuff back? Choose an early return date and extend if you need to. Might be leaving the country? We can add shipping later. Need to store a bike, TV, or guitar? Add them as your own boxes. 2. Make a Booking and Order Free Boxes. Tell us where/when to deliver them. Don't know how many Boxes? Order 1 or 2 extra - we don't charge storage for boxes you don't use. Unused boxes are £2.88 each and you can keep them. Pay £60 now and the remaining balance before collection. Only do this after you've packed. Collections from staffed receptions at halls of residence. Collection labels are sent by email and downloadable from the website. Collection time windows dependent upon area. Do this at least 3 working days before the end of storage. Provide address and return date. Return time windows dependent upon area. Returns to staffed receptions at halls of residence. Don't know when you need your stuff delivered? Choose Storage+Moving with an early return date and extend if you need to. Need to move a bike, TV, or guitar? Order 1 or 2 extra - we don't charge moving for boxes you don't use. Complete packing and customs declarations. Shipping labels are sent by email and downloadable from the website. Customs forms (if applicable) are also sent by email and downloadable from the website. Regularly Monitor your shipment using the tracking link provided.